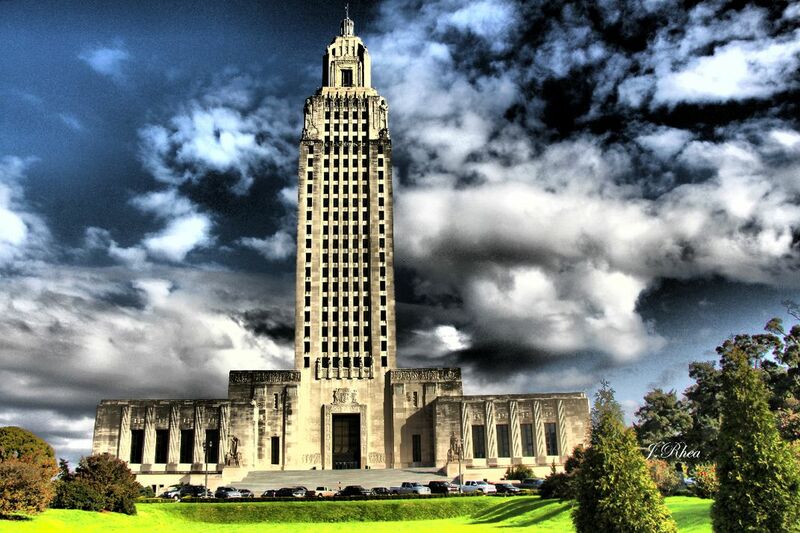 The Louisiana State Capitol: Huey P. Long's art deco masterpiece framed by an ominous cloud is HDR enhanced. Picture taken on a visit to Baton Rouge downtown. Date Uploaded: Sept. 7, 2014, 1:46 p.m.